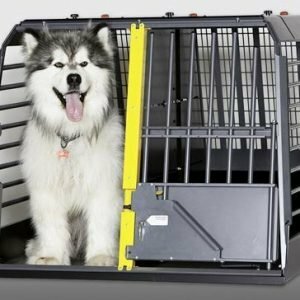 Universal TraficGard – Keeps Pets and Their Families Safe. 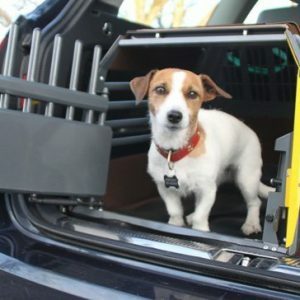 A safer space for your dog means happier and relaxed travel. 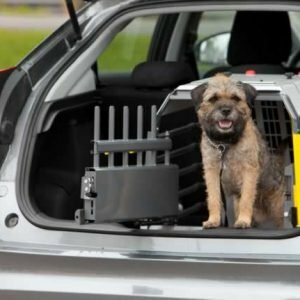 The Universal TraficGard attaches securely to the headrests of the back seats and adjusts to any angle. 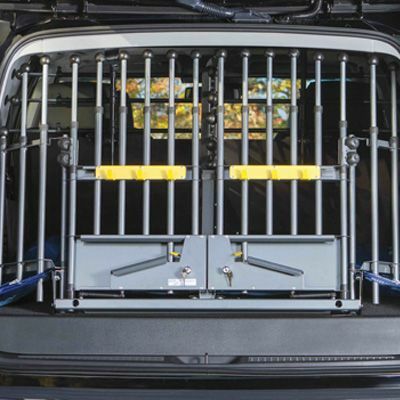 Seats can be folded down with the Universal TraficGard in place. 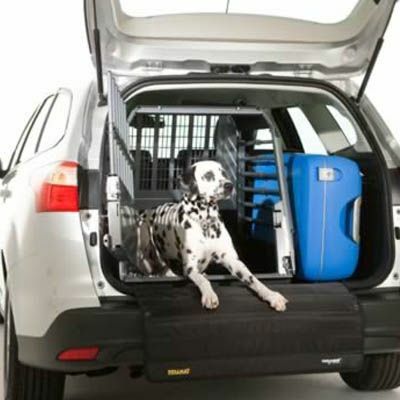 A safer space for your dog means happier and relaxed travel. 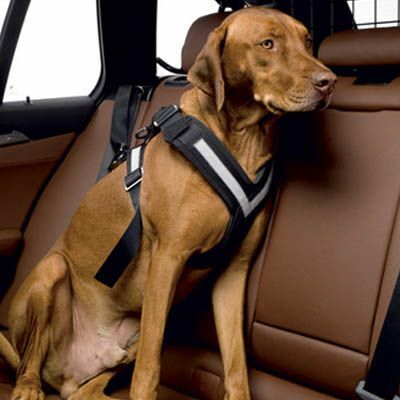 The TraficGard attaches securely to the headrests of the back seats and adjusts to any angle. Seats can be folded down with the TraficGard in place. Protects occupants. 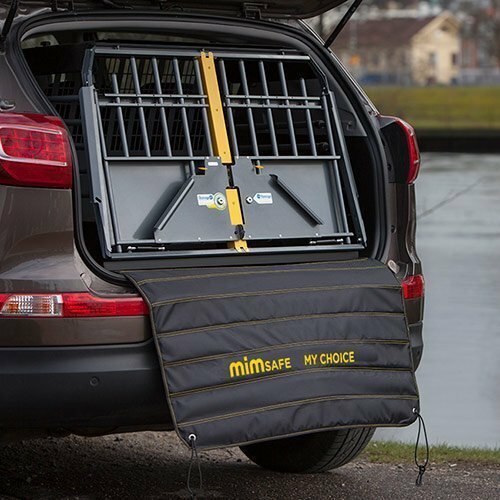 Keeps dogs and gear secure in cargo area. 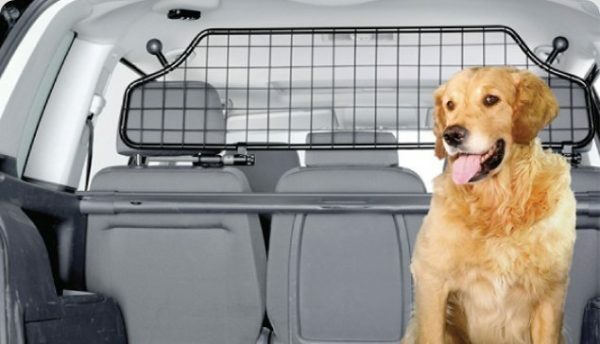 Attaches to headrests on back or front seats. Fully adjustable to seat angle. Cargo Barrier folds down easily. 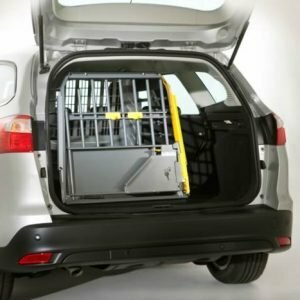 Powder coated for protection from corrosion. 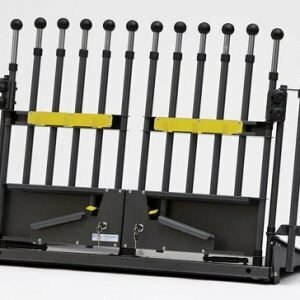 High-quality, German design, Strong, safe and secure.